DeMint Warns New GOP Tea-Party Backed Senators: Don't Sell Out : It's All Politics Sen. DeMint warned Republican senators-elect that the GOP establishment would try to co-opt them. He urged them not to let that happen. Which places him in conflict with Senate Minority Leader Mitch McConnell whose goal is to co-opt them. 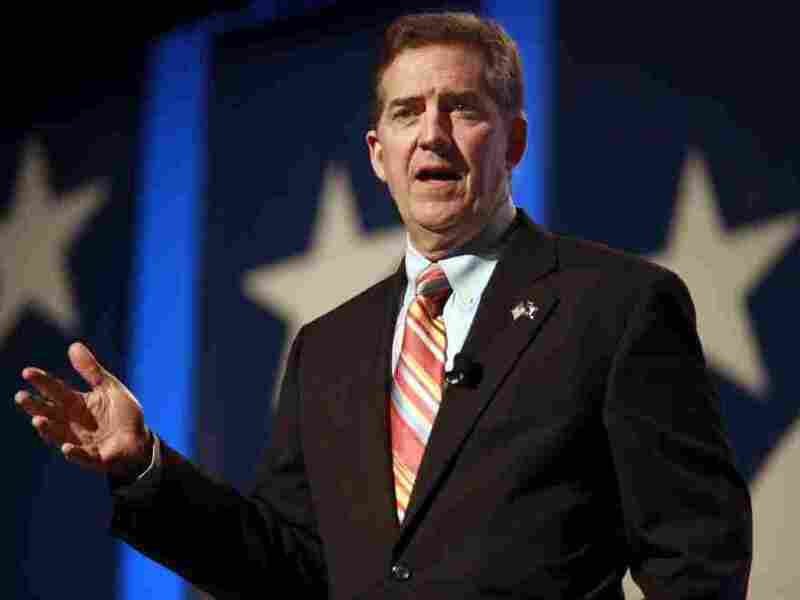 Sen. Mitch McConnell may be the Senate minority leader but there's clearly another would-be power center among Senate Republicans -- Sen. Jim DeMint of South Carolina. DeMint, the chief channel in the Senate for the Tea Party movement, has an open letter in The Wall Street Journal that is at once a challenge to McConnell and a warning to the new Republican senators who tapped into Tea Party energy. DeMint counsels the new senators that attempts will be made to buy them off that they should resist. Those new Republican senators include Marc Rubio of Florida, John Boozman of Arkansas, Ron Johnson of Wisconsin and Pat Toomey of Pennsylvania. Many of the people who will be welcoming the new class of Senate conservatives to Washington never wanted you here in the first place. The establishment is much more likely to try to buy off your votes than to buy into your limited-government philosophy. Consider what former GOP senator-turned-lobbyist Trent Lott told the Washington Post earlier this year: "As soon as they get here, we need to co-opt them..."
... Don't let them. Co-option is coercion. Washington operates on a favor-based economy and for every earmark, committee assignment or fancy title that's given, payback is expected in return. The chits come due when the roll call votes begin. This is how big-spending bills that everyone always decries in public always manage to pass with just enough votes. ... Tea party Republicans were elected to go to Washington and save the country—not be co-opted by the club. So put on your boxing gloves. The fight begins today. DeMint tells the Republican senators-elect that they should rebuff attempts by Republican Senate leadership to give them plum assignments on committees. Such assignments, however, are among the typical tools Senate leaders use to gain the loyalty of senators. So DeMint is essentially trying to handcuff McConnell when it comes to assignments. This contest between McConnell and DeMint should be one to watch.